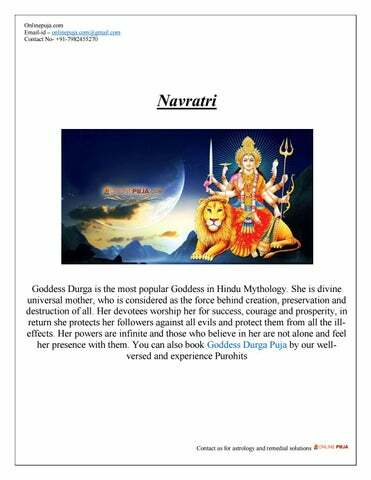 Navratri or “nine nights” is the celebration of Goddess Durga. She is considered to be the most powerful of all the Goddesses. Goddess Durga is considered to be the power or Shakti behind every creation, preservation and destruction in this universe. Navratri‟s are being observed to feel the power, blessings of our mother Durga and we humans are her children. Goddess Durga is considered to be our mother imparting us with all the energy, strength and courage to face tough situations. There is an interesting reason behind celebrating this festival for 9 days. The first three days mark the purification of our soul and destroying our evil. This role is played by Goddess Durga. The next three days are being played by Goddess Lakshmi which showers her blessing in the form of wealth. 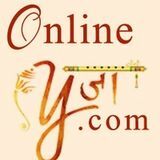 The final three days mark the worship of Goddess Saraswati, the Goddess of wisdom. The Navratri‟s are being celebrated twice a year. This is done so to maintain the balance in nature and its power. Also one should celebrate this festival for 9 days and observe fast to thank Lord for giving them life and blessing them with all the happiness. The Vedas too talk about the power of Goddess Durga or Shakti. Benefit of Performing Navratri Puja Get financial benefit and profit. Relief from ill health. Boon for long life. Find a loving partner. Success in all your endeavors. Improve marital relationship and harmony in family front. Brings peace and calmness. Spiritual and materialistic blessings. We hope that Maa Durga always blesses you and your family with health, wealth and happiness.